Looking for a clean, well-cared for 2018 Chevrolet Equinox? This is it. This Chevrolet includes: ENGINE, 1.5L TURBO DOHC 4-CYLINDER, SIDI, VVT 4 Cylinder Engine Gasoline Fuel Turbocharged INFOTAINMENT PACKAGE Smart Device Integration Bluetooth Connection Auxiliary Audio Input MP3 Player MOSAIC BLACK METALLIC AUDIO SYSTEM, CHEVROLET MYLINK RADIO WITH 8" DIAGONAL COLOR TOUCH-SCREEN Smart Device Integration AM/FM Stereo Bluetooth Connection Auxiliary Audio Input MP3 Player JET BLACK, DELUXE CLOTH SEAT TRIM Cloth Seats *Note - For third party subscriptions or services, please contact the dealer for more information. * How to protect your purchase? CARFAX BuyBack Guarantee got you covered. Want more room? Want more style? 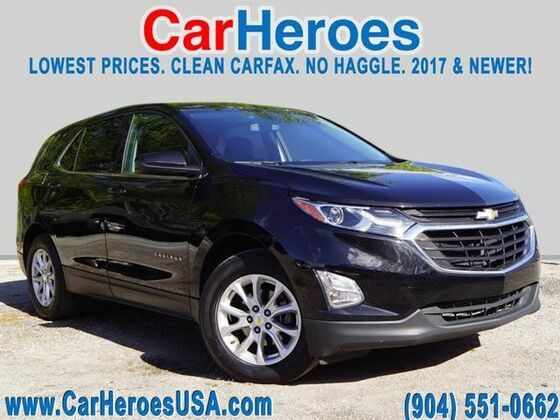 This Chevrolet Equinox is the vehicle for you. You could spend more on fuel each month than on your vehicle payments, so why not consider one with exceptional fuel economy like this 2018 Chevrolet Equinox.